Did you know that September 25 is National Comic Book Day? I just learned about this retro holiday, and it made me immediately think of comic books from my childhood. 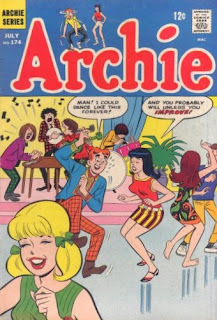 My favorite was Archie, and the related Betty and Veronica comic books as well. I thought these were really cool when I was little! They were, of course, about teenage kids and as a little girl, I thought it was fun to read about their high school adventures. 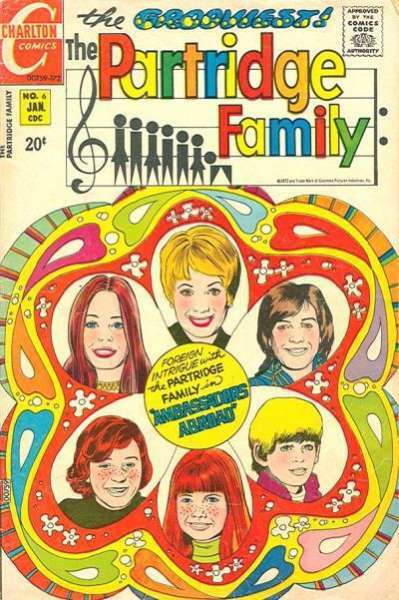 Later I also discovered the Partridge Family comic books. I was in elementary school when these were popular, and like most girls I knew, I had the biggest crush on David Cassidy. So of course I loved the comic books, too! Did you like comic books when you were growing up? What were your favorites? I'd love to hear from you in the comments, below. I somehow missed out on them when I was a kid, but I am really into comics now as an adult. Have you seen the new Archie they're coming out with right now by Mark Waid and Fiona Staples? It's really good! Archie comic books I definitely remember. However, I missed The Partridge Family comics. I am not sure why. Maybe because I read them at my grandmother's house and someone else was buying them. Brenda and Skye, Thanks for visiting! Skye, I haven't seen the new Archie but will look for them. They sound interesting!